Dear Reading Specialist, May I Ask You a Few Questions? Because the children I assess, often require supplementary reading instruction services, many parents frequently ask me how they can best determine if a reading specialist has the right experience to help their child learn how to read. So today’s blog post describes what type of knowledge reading specialists ought to possess and what type of questions parents (and other professionals) can ask them in order to determine their approaches to treating literacy-related difficulties of struggling learners. Continue reading Dear Reading Specialist, May I Ask You a Few Questions? SLPs are constantly on the lookout for good quality affordable materials in the area of literacy. However, what many clinicians may not realize is that there are massive amounts of FREE evidence-based literacy-related resources available online for their use. These materials can be easily adapted or implemented as is, by parents, teachers, speech-language pathologists, as well as other literacy-focused professionals (e.g., tutors, etc.). Recently I wrote a blog post regarding how SLPs can qualitatively assess writing abilities of adolescent learners. Today due to popular demand, I am offering suggestions regarding how SLPs can assess writing abilities of early-elementary-aged students with suspected learning and literacy deficits. For the purpose of this post, I will focus on assessing writing of second-grade students since by second-grade students are expected to begin producing simple written compositions several sentences in length (CCSS). With respect to penmanship, students are expected to write legibly. With respect to grammar, students are expected to identify and correctly use basic parts of speech such as nouns and verbs. With respect to sentence structure students are expected to distinguish between complete and incomplete sentences as well as use correct subject/verb/noun/pronoun agreements and correct verb tenses in simple and compound sentences. With respect to punctuation, students are expected to use periods correctly at the end of sentences. They are expected to use commas in sentences with dates and items in a series. With respect to capitalization, students are expected to capitalize proper nouns, words at the beginning of sentences, letter salutations, months and days of the week, as well as titles and initials of people. Analysis: The student’s written composition content (thought formulation and elaboration) was judged to be impaired for her grade level. According to the CCSS, 2d grade students are expected to ‘”write narratives in which recount a well-elaborated event or short sequence of events, include details to describe actions, thoughts, and feelings, use temporal words to signal event order, and provide a sense of closure.” However, the above narrative sample by no means satisfies this requirement. The student’s writing was excessively misspelled, as well as lacked organization and clarity of message. While portions of her narrative appropriately addressed the question with respect to whom and what she was going to bring on her travels, her narrative quickly lost coherence by her 4th sentence, when she wrote: “So we are going in a box” with further elaborations regarding what she meant by that sentence. Second-grade students are expected to engage in basic editing and revision of their work. This student only took four minutes to compose the above-written sample and as such had more than adequate amount of time to review the question as well as her response for spelling and punctuation errors as well as for clarity of message, which she did not do. Furthermore, despite being provided with a written prompt which contained the correct capitalization of a place: “North Pole”, the student was not observed to capitalize it in her writing, which indicates ongoing executive function difficulties with the respect to proofreading and attention to details. Impressions: Clinical assessment of the student’s writing revealed difficulties in the areas of spelling, capitalization, message clarity as well as lack of basic proofreading and editing, which require therapeutic intervention. Now let us select a few writing goals for this student. Long-Term Goals: Student will improve her writing abilities for academic purposes. Student will label parts of speech (e.g., adjectives, adverbs, prepositions, etc.) in compound sentences. Student will correctly use past, present, and future verb tenses during writing tasks. Student will use basic punctuation at the sentence level (e.g., commas, periods, and apostrophes in singular possessives, etc.). Student will use basic capitalization at the sentence level (e.g., capitalize proper nouns, words at the beginning of sentences, months and days of the week, etc.). Notice the above does not contain any spelling goals. That is because given the complexity of her spelling profile I prefer to tackle her spelling needs in a separate post, which discusses spelling development, assessment, as well as intervention recommendations for students with spelling deficits. There you have it. A quick and easy qualitative writing assessment for elementary-aged students which can help determine the extent of the student’s writing difficulties as well as establish a few writing remediation targets for intervention purposes. Using a different type of writing assessment with your students? Please share the details below so we can all benefit from each others knowledge of assessment strategies. Components of Qualitative Writing Assessments: What Exactly are We Trying to Measure? Writing! The one assessment area that challenges many SLPs on daily basis! If one polls 10 SLPs on the topic of writing, one will get 10 completely different responses ranging from agreement and rejection to the diverse opinions regarding what should actually be assessed and how exactly it should be accomplished. Consequently, today I wanted to focus on the basics involved in the assessment of adolescent writing. Why adolescents you may ask? Well, frankly because many SLPs (myself included) are far more likely to assess the writing abilities of adolescents rather than elementary-aged children. Often, when the students are younger and their literacy abilities are weaker, the SLPs may not get to the assessment of writing abilities due to the students presenting with so many other deficits which require precedence intervention-wise. However, as the students get older and the academic requirements increase exponentially, SLPs may be more frequently asked to assess the students’ writing abilities because difficulties in this area significantly affect them in a variety of classes on a variety of subjects. So what can we assess when it comes to writing? In the words of Helen Lester’s character ‘Pookins’: “Lots!” There are various types of writing that can be assessed, the most common of which include: expository, persuasive, and fictional. Each of these can be used for assessment purposes in a variety of ways. To illustrate, if we chose to analyze the student’s written production of fictional narratives then we may broadly choose to analyze the following aspects of the student’s writing: contextual conventions and writing composition. The former looks at such writing aspects as the use of correct spelling, punctuation, and capitalization, paragraph formation, etc. The latter looks at the nitty-gritty elements involved in plot development. These include effective use of literate vocabulary, plotline twists, character development, use of dialogue, etc. Perhaps we want to analyze the student’s persuasive writing abilities. After all, high school students are expected to utilize this type of writing frequently for essay writing purposes. Actually, persuasive writing is a complex genre which is particularly difficult for students with language-learning difficulties who struggle to produce essays that are clear, logical, convincing, appropriately sequenced, and take into consideration opposing points of view. It is exactly for that reason that persuasive writing tasks are perfect for assessment purposes. But what exactly are we looking for analysis wise? What should a typical 15 year old’s persuasive essays contain? 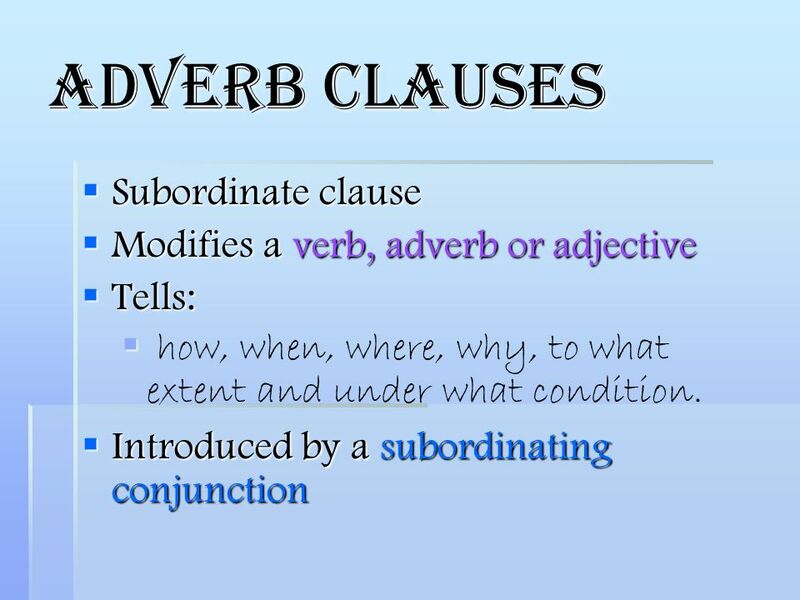 With respect to syntax, a typical student that age is expected to write complex sentences possessing nominal, adverbial, as well as relative clauses. With the respect to semantics, effective persuasive essays require the use of literate vocabulary words of low frequency such as later developing connectors (e.g., first of all, next, for this reason, on the other hand, consequently, finally, in conclusion) as well as metalinguistic and metacognitive verbs (“metaverbs”) that refer to acts of speaking (e.g., assert, concede, predict, argue, imply) and thinking (e.g., hypothesize, remember, doubt, assume, infer). With respect to pragmatics, as students mature, their sensitivity to the perspectives of others improves, as a result, their persuasive essays increase in length (i.e., total number of words produced) and they are able to offer a greater number of different reasons to support their own opinions (Nippold, Ward-Lonergan, & Fanning, 2005). He produced the following written sample during the allotted 20 minutes. Analysis: This student was able to generate a short, 3-paragraph, composition containing an introduction and a body without a definitive conclusion. His persuasive essay was judged to be very immature for his grade level due to significant disorganization, limited ability to support his point of view as well as the presence of tangential information in the introduction of his composition, which was significantly compromised by many writing mechanics errors (punctuation, capitalization, as well as spelling) that further impacted the coherence and cohesiveness of his written output. The student’s introduction began with an inventive dialogue, which was irrelevant to the body of his persuasive essay. He did have three important points relevant to the body of the essay: animal cruelty, danger to the animals, and potential for the animals to harm humans. However, he was unable to adequately develop those points into full paragraphs. The notable absence of proofreading and editing of the composition further contributed to its lack of clarity. The above coupled with a lack of a conclusion was not commensurate grade-level expectations. Based on the above-written sample, the student’s persuasive composition content (thought formulation and elaboration) was judged to be significantly immature for his grade level and is commensurate with the abilities of a much younger student. The student’s composition contained several emerging claims that suggested a vague position. However, though the student attempted to back up his opinion and support his position (animals should not be performing in circuses), ultimately he was unable to do so in a coherent and cohesive manner. Long-Term Goals: Student will improve his written abilities for academic purposes. Student will appropriately utilize parts of speech (e.g., adjectives, adverbs, prepositions, etc.) in compound and complex sentences. Student will use a variety of sentence types for story composition purposes (e.g., declarative, interrogative, imperative, and exclamatory sentences). Student will utilize appropriate punctuation at the sentence level (e.g., apostrophes, periods, commas, colons, quotation marks in dialogue, and apostrophes in singular possessives, etc.). Student will utilize appropriate capitalization at the sentence level (e.g., capitalize proper nouns, holidays, product names, titles with names, initials, geographic locations, historical periods, special events, etc.). Student will use prewriting techniques to generate writing ideas (e.g., list keywords, state key ideas, etc.). 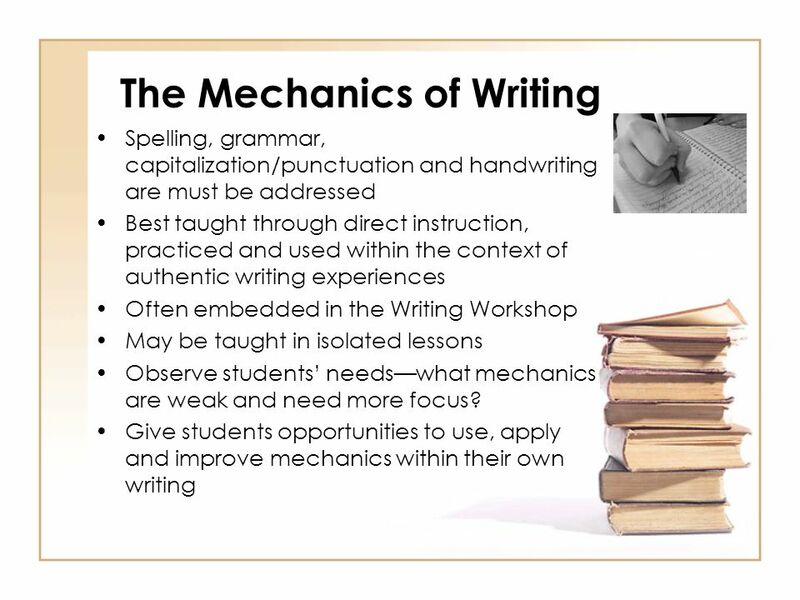 Student will determine the purpose of his writing and his intended audience in order to establish the tone of his writing as well as outline the main idea of his writing. Student will generate a draft in which information is organized in chronological order via use of temporal markers (e.g., “meanwhile,” “immediately”) as well as cohesive ties (e.g., ‘but’, ‘yet’, ‘so’, ‘nor’) and cause/effect transitions (e.g., “therefore,” “as a result”). Student will improve coherence and logical organization of his written output via the use of revision strategies (e.g., modify supporting details, use sentence variety, employ literary devices). Student will edit his draft for appropriate grammar, spelling, punctuation, and capitalization. There you have it. A quick and easy qualitative writing assessment which can assist SLPs to determine the extent of the student’s writing difficulties as well as establish writing remediation targets for intervention purposes. Nippold, M., Ward-Lonergan, J., & Fanning, J. (2005). Persuasive writing in children, adolescents, and adults: a study of syntactic, semantic, and pragmatic development. Language, Speech, and Hearing Services in Schools, 36, 125-138. Smart Speech Therapy Black Friday Sale! September is quickly approaching and school-based speech language pathologists (SLPs) are preparing to go back to work. Many of them are looking to update their arsenal of speech and language materials for the upcoming academic school year. With that in mind, I wanted to update my readers regarding all the new products I have recently created with a focus on assessment and treatment in speech language pathology. My most recent product Assessment of Adolescents with Language and Literacy Impairments in Speech Language Pathology is a 130-slide pdf download which discusses how to effectively select assessment materials in order to conduct comprehensive evaluations of adolescents with suspected language and literacy disorders. It contains embedded links to ALL the books and research articles used in the development of this product. Effective Reading Instruction Strategies for Intellectually Impaired Students is a 50-slide downloadable presentation in pdf format which describes how speech-language pathologists (SLPs) trained in assessment and intervention of literacy disorders (reading, spelling, and writing) can teach phonological awareness, phonics, as well as reading fluency skills to children with mild-moderate intellectual disabilities. It reviews the research on reading interventions conducted with children with intellectual disabilities, lists components of effective reading instruction as well as explains how to incorporate components of reading instruction into language therapy sessions. 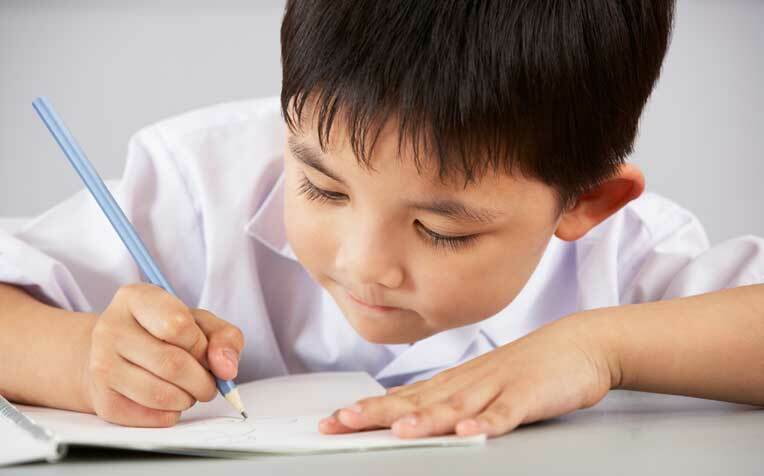 Dysgraphia Checklist for School-Aged Children helps to identify the students’ specific written language deficits who may require further assessment and treatment services to improve their written abilities. Processing Disorders: Controversial Aspects of Diagnosis and Treatment is a 28-slide downloadable pdf presentation which provides an introduction to processing disorders. It describes the diversity of ‘APD’ symptoms as well as explains the current controversies pertaining to the validity of the ‘APD’ diagnosis. It also discusses how the label “processing difficulties” often masks true language and learning deficits in students which require appropriate language and literacy assessment and targeted intervention services. Checklist for Identification of Speech Language Disorders in Bilingual and Multicultural Children was created to assist Speech Language Pathologists (SLPs) and Teachers in the decision-making process of how to appropriately identify bilingual and multicultural children who present with speech-language delay/deficits (vs. a language difference), for the purpose of initiating a formal speech-language-literacy evaluation. The goal is to ensure that educational professionals are appropriately identifying bilingual children for assessment and service provision due to legitimate speech language deficits/concerns, and are not over-identifying students because they speak multiple languages or because they come from low socioeconomic backgrounds. Comprehensive Assessment and Treatment of Literacy Disorders in Speech-Language Pathology is a 125 slide presentation which describes how speech-language pathologists can effectively assess and treat children with literacy disorders, (reading, spelling, and writing deficits including dyslexia) from preschool through adolescence. It explains the impact of language disorders on literacy development, lists formal and informal assessment instruments and procedures, as well as describes the importance of assessing higher order language skills for literacy purposes. It reviews components of effective reading instruction including phonological awareness, orthographic knowledge, vocabulary awareness, morphological awareness, as well as reading fluency and comprehension. Finally, it provides recommendations on how components of effective reading instruction can be cohesively integrated into speech-language therapy sessions in order to improve literacy abilities of children with language disorders and learning disabilities. Improving Critical Thinking Skills via Picture Books in Children with Language Disorders is a partial 30-slide presentation which discusses effective instructional strategies for teaching language disordered children critical thinking skills via the use of picture books utilizing both the Original (1956) and Revised (2001) Bloom’s Taxonomy: Cognitive Domain which encompasses the (R) categories of remembering, understanding, applying, analyzing, evaluating and creating. From Wordless Picture Books to Reading Instruction: Effective Strategies for SLPs Working with Intellectually Impaired Students is a full 92 slide presentation which discusses how to address the development of critical thinking skills through a variety of picture books utilizing the framework outlined in Bloom’s Taxonomy: Cognitive Domain which encompasses the categories of knowledge, comprehension, application, analysis, synthesis, and evaluation in children with intellectual impairments. It shares a number of similarities with the above product as it also reviews components of effective reading instruction for children with language and intellectual disabilities as well as provides recommendations on how to integrate reading instruction effectively into speech-language therapy sessions. Best Practices in Bilingual Literacy Assessments and Interventions is a 105 slide presentation which focuses on how bilingual speech-language pathologists (SLPs) can effectively assess and intervene with simultaneously bilingual and multicultural children (with stronger academic English language skills) diagnosed with linguistically-based literacy impairments. Topics include components of effective literacy assessments for simultaneously bilingual children (with stronger English abilities), best instructional literacy practices, translanguaging support strategies, critical questions relevant to the provision of effective interventions, as well as use of accommodations, modifications and compensatory strategies for improvement of bilingual students’ performance in social and academic settings. 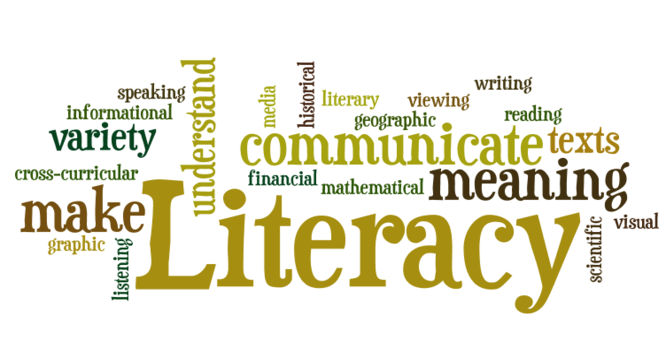 Comprehensive Literacy Checklist For School-Aged Children was created to assist Speech Language Pathologists (SLPs) in the decision-making process of how to identify deficit areas and select assessment instruments to prioritize a literacy assessment for school aged children. The goal is to eliminate administration of unnecessary or irrelevant tests and focus on the administration of instruments directly targeting the specific areas of difficulty that the student presents with. You can find these and other products in my online store (HERE). 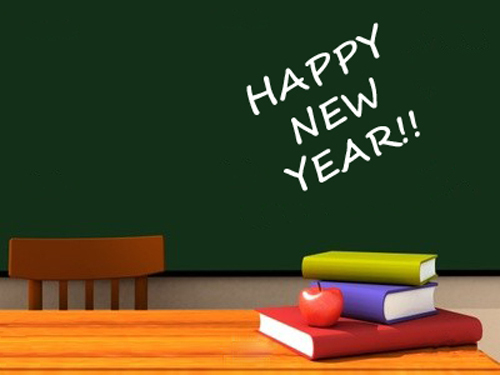 Wishing all of you a highly successful and rewarding school year! In recent months, I have been focusing more and more on speaking engagements as well as the development of products with an explicit focus on assessment and intervention of literacy in speech-language pathology. Today I’d like to introduce 4 of my recently developed products pertinent to assessment and treatment of literacy in speech-language pathology. which describes how speech-language pathologists can effectively assess and treat children with literacy disorders, (reading, spelling, and writing deficits including dyslexia) from preschool through adolescence. It explains the impact of language disorders on literacy development, lists formal and informal assessment instruments and procedures, as well as describes the importance of assessing higher order language skills for literacy purposes. It reviews components of effective reading instruction including phonological awareness, orthographic knowledge, vocabulary awareness, morphological awareness, as well as reading fluency and comprehension. Finally, it provides recommendations on how components of effective reading instruction can be cohesively integrated into speech-language therapy sessions in order to improve literacy abilities of children with language disorders and learning disabilities. Next up is a product entitled From Wordless Picture Books to Reading Instruction: Effective Strategies for SLPs Working with Intellectually Impaired Students. This product discusses how to address the development of critical thinking skills through a variety of picture books utilizing the framework outlined in Bloom’s Taxonomy: Cognitive Domain which encompasses the categories of knowledge, comprehension, application, analysis, synthesis, and evaluation in children with intellectual impairments. It shares a number of similarities with the above product as it also reviews components of effective reading instruction for children with language and intellectual disabilities as well as provides recommendations on how to integrate reading instruction effectively into speech-language therapy sessions. The product Improving Critical Thinking Skills via Picture Books in Children with Language Disorders is also available for sale on its own with a focus on only teaching critical thinking skills via the use of picture books. Finally, my last product Best Practices in Bilingual Literacy Assessments and Interventions focuses on how bilingual speech-language pathologists (SLPs) can effectively assess and intervene with simultaneously bilingual and multicultural children (with stronger academic English language skills) diagnosed with linguistically-based literacy impairments. Topics include components of effective literacy assessments for simultaneously bilingual children (with stronger English abilities), best instructional literacy practices, translanguaging support strategies, critical questions relevant to the provision of effective interventions, as well as use of accommodations, modifications and compensatory strategies for improvement of bilingual students’ performance in social and academic settings. You can find these and other products in my online store (HERE). I wanted to start the new year right by giving away a few copies of a new checklist I recently created entitled: “Comprehensive Literacy Checklist For School-Aged Children“. It was created to assist Speech Language Pathologists (SLPs) in the decision-making process of how to identify deficit areas and select assessment instruments to prioritize a literacy assessment for school aged children. The goal is to eliminate administration of unnecessary or irrelevant tests and focus on the administration of instruments directly targeting the specific areas of difficulty that the student presents with. *For the purpose of this product, the term “literacy checklist” rather than “dyslexia checklist” is used throughout this document to refer to any deficits in the areas of reading, writing, and spelling that the child may present with in order to identify any possible difficulties the child may present with, in the areas of literacy as well as language. This checklist can be used for multiple purposes. You can find this product in my online store HERE. Would you like to check it out in action? I’ll be giving away two copies of the checklist in a Rafflecopter Giveaway to two winners. So enter today to win your own copy!